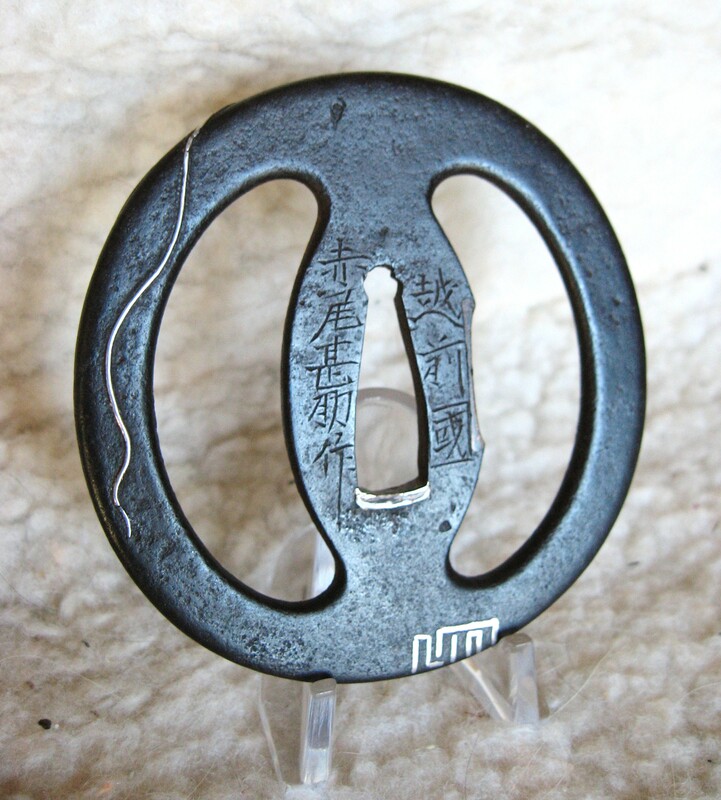 Iron plate tsuba with large sukashi design of namako (sea cucumber). 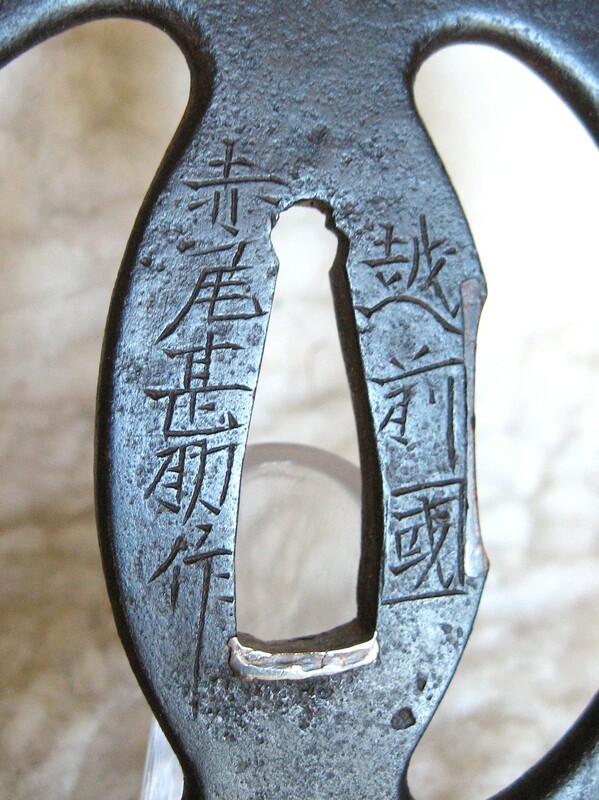 Silver inlay of ebi (lobster), a symbol of celebration and emblematic of honorable old age. The brass inlay in the six-o-clock position on reverse is representing a chapter in 'The Tales of Genji'. 7.4cm x 7.25cm x 0.35cm thick. This style of plate and design inlay we could not tell who had made it if it were unsigned. 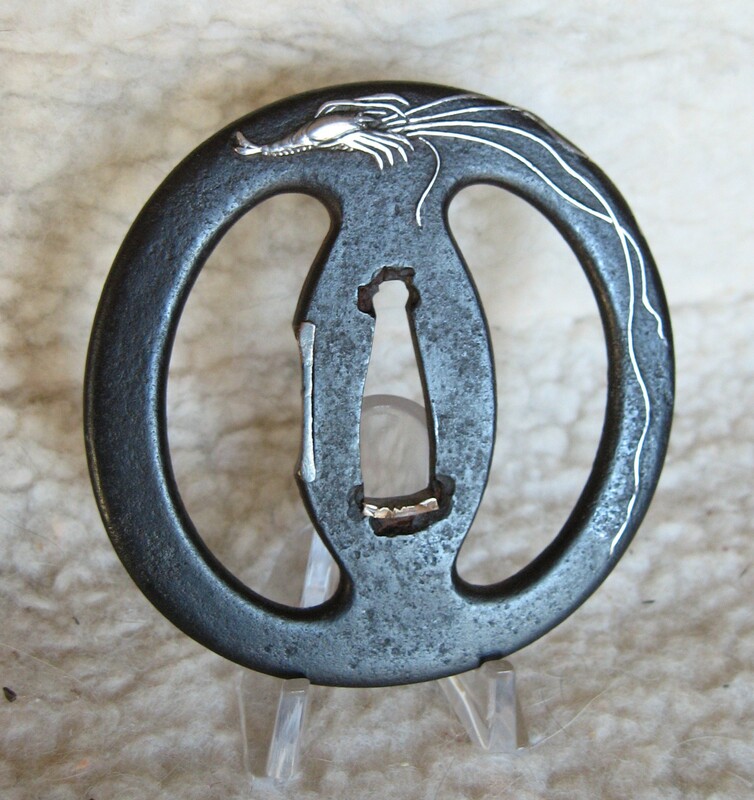 There is nothing of the classic Akao school in the appearance of this tsuba. This work shows warmth and sophistication along with a restrained taste of the times. 'Echizen (no) Kuni Akao Jinsuke Saku'. See other example of his work in Tsuba Taikan, pg 467.